Logan Grove & Teresa Gallagher.. 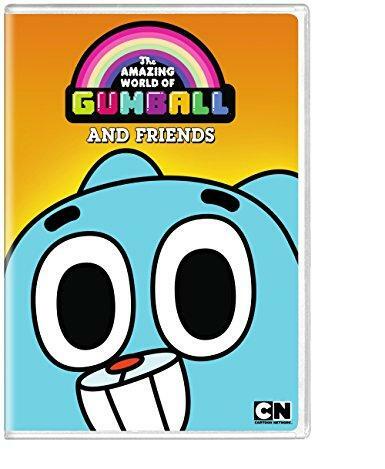 Cartoon Network: Gumball and Friends (DVD) The Amazing World of Gumball features one hilarious episode after another for Gumball and his friends. Gumballs world is pretty run-of-the-mill. Hes chased around school by a T-Rex. He has a friend named Anton whos a piece of toast. Hes got a crush on Penny, a peanut with antlers. His dad is a 64" bunny. His mom works at a Rainbow Factory. And his brother is a goldfish named Darwin. Yup, everything looks perfectly normal here. This DVD is packed with 12 funny episodes from Season 1 and more all ready to keep you laughing.